Today Gaijin released their first devblog of the week. Although we did see this coming with the accidental preview with the Chi-He developer diary last week. Probably would have had this out hours ago but I had writer's block yesterday, so never got to post anything this past week. Although this week I have a feeling I'll be posting plenty to make it up to you all. But without further ado, today Gaijin shows you the first assault tank of Japan's tech tree, the Type2 Ho-I. As Japanese tank development expanded over the course of the 30's, the Imperial Japanese Army toyed around with the idea of a tank with the sole purpose of providing artillery support from a self propelled vehicle. As the Second Sino-Japanese war developed, Japan knew they needed a vehicle to rely on for mobile fire support. 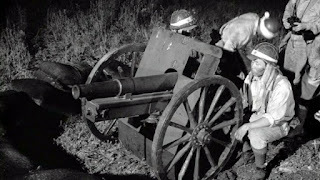 The concept of a field gun mounted on a tank chassis to breach hostile fortifications with the use of high explosive shells had become popular around this time. Germany would later produce their own tanks of the class such as the early Panzer IV units with their short, low velocity guns. Japan had started out well in the conflict with the Nationalist Chinese. Eventually, however, the Japanese began suffering heavy casualties street fighting in major cities such as Shanghai. The battle proven Type89 medium tanks were the standard infantry support at the time, but were crippled by their lack of power with the Type90 57mm tank cannon. Chinese fort towers and pillboxes proved too much for the gun's capabilities. To combat these targets, the Japanese troops relied on towed mountain guns. However, with mobility now becoming a necessity, Japan decided to develop a new gun to fit on a tank chassis. 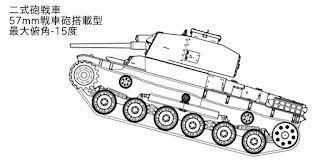 In 1937, Japan’s4th Technical Research group decided to work on the self propelled gun concept into a gun tank, dubbed Hosensha ("Gun Tank"), or Ho-I. The Type41 "Rentai Ho" Mountain Gun was chosen by the research group to be modified and extended for use in the tank project. This cannon was a licensed version of the German Krupp M.08. Type99 75mm Tank Gun Model I. By December of 1940, the Type41 Rentai Ho had been redesigned as the Type99 Tank Gun Model I. Keeping the same 75mm caliber, the first model of the gun had a weight of 543kg, loading a 75 x 185R cartridge. This is the same as the Type41's design, but it was a completely redeveloped artillery cannon which adopted the same horizontal plug as used on the Type94 mountain gun. Therefore, ammunition for Type41 was also accessible to the Type99. However, because of the low muzzle velocity of the Type41, a new standard ammunition tube was developed, which increased the velocity by altering the charge while using the same cartridge as the Type41. As a result, the initial speed increased from 360 m/s to 445 m/s. However, due to resource shortages the Type41's munitions ceased production, hence only the 3 shells developed for the Type99 were issued. These included the Type94 HE and Type 1 APHE. 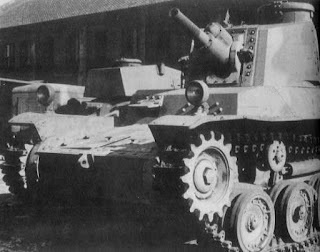 During the spring of 1941, Hitachi Ltd constructed a prototype of the Ho-I using the Chi-Ha chassis as the basis of the tank. The prototype participated in a series of tests in September, however the Army deemed the tank insufficient as the gun handling was poor against a moving target and the low penetration capabilities were noted as too poor to rely on. The project took a delay as the Type99 tank cannon had to be redeveloped to fit the Army's standards. Ho-I Prototype during combat trials at the tank school. The Ho-I's turret design was based of the Chi-Ha Kai turret, but used a welded construction which was rare among Japanese tank designs at the time. The result was a large box like structure that gave considerable room. As Japanese tank development continued, however, the Chi-Ha chassis slowly became more obsolete as a battle tank. 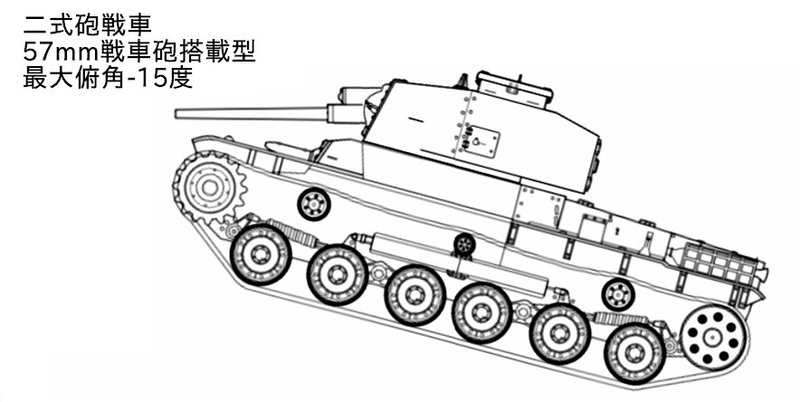 To replace the tank, the Japanese designed the Chi-He medium tank as the new standard for the Army. The Ho-I was decided to instead rely on the Chi-He tank's hull to improve armour conditions. The second Ho-I prototype had been completed in December of 1942. The turret was redesigned by Hitachi, Ltd, The upper slope of the turret was removed and the sides had instead been heightened. The side armor plate were now strengthened by supporting rivets. The frontal armour thickness of the turret was increased from 25mm to 50 mm. The front mantlet had also been changed, this time having better angles to deflect enemy projectiles. This time the tank chassis was manufactured by Mitsubishi Heavy Industries, and the gun was modified to be closer to the Army's standards. The velocity of the Model II gun was increased to 443m/s for the APHE shell, achieving a general number around 70mm of penetration at 100 meters, and kept the Type94 HE shell from the initial tank gun. With the Model II, a HEAT shell was developed for the tank, labeled Type2. The shell was a molded explosive charge that had the capability of 100mm of penetration at all ranges. The Ho-I by 1942 has changed its initial doctrine from infantry fire support and was, rather, a reliable method of engaging the American M4 Sherman with high firepower. In 1943, multiple tests were conducted against a captured M4 tank, and had achieved successful penetration of the tank's front from 800 meters with its HEAT round. Both 75 and 57 models had -15 degrees. Despite the success of the cannon, the Army had already began development of an experimental high velocity 57mm anti tank gun Kou for universal use. The Ho-I with the 57mm would later become the first prototype leading to the design of the Type4 Chi-To. However, by the time the Ho-I had entered service in 1943 as the Type2 Ho-I, the tank was kept in reserve with the 4th Tank Division due to the suspected invasion by the Americans. By the war's end in 1945, only 30 units were manufactured, none saw combat, and all were destroyed after. Glad to have you back, I'm looking forward to reading the articles planned this week. 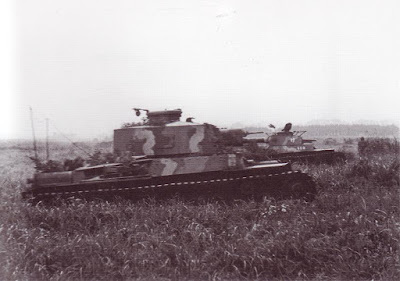 Also, could you do an article on the 4 "unreleased" Heavy tanks from the fan made Japanese tank tech tree from 2015, the type 96 heavy, type 97 heavy, type 97 heavy kai, mitsu 104, if you have any additional info on them. Interdasting Indeed good info as always Mai. Thanks for the hard work as always Eun!